Want to grow your subscriber base? 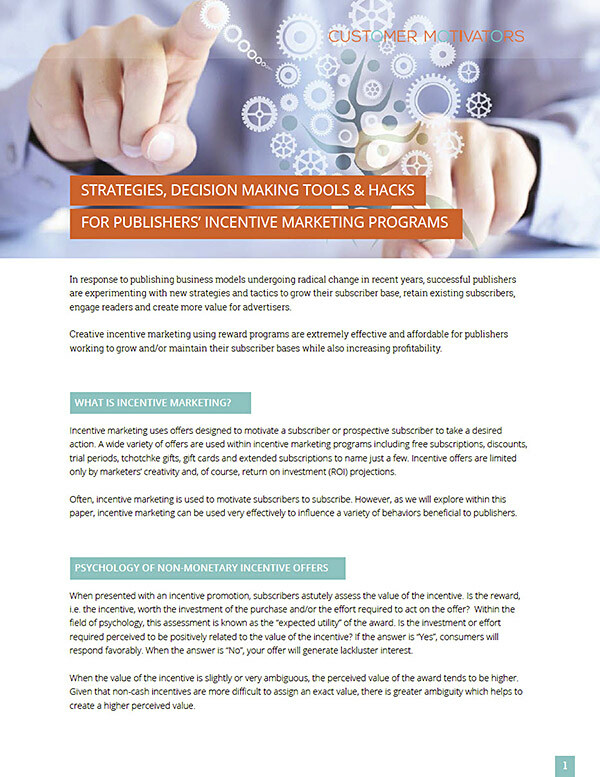 Request a copy of our white paper and learn how creative subscriber acquisition rewards programs can be an effective and affordable way for publishers to grow and/or maintain their subscriber bases while also increasing profitability. It’s simple. Consumers perceive gift card offers as more valuable than a cash offer. Get the paper and learn how to use consumer perceptions to boost direct marketing and acquisition performance and the other reasons why gift cards have greater value than cash incentives, discounts or money back offers. Ready to grow your subscriber base? Learn more about subscriber acquisition rewards programs. Get a copy of our white paper and learn why rewards can be an effective and affordable way for publishers to grow their subscriber bases while also increasing profitability.